Kohler standby generators are available for both industrial and residential applications. Kohler industrial generators are available for both prime power and standby applications that require reliable and durable solutions. For the homeowner, standby power can mean the difference between staying put and moving out. With a Kohler commercial-grade residential power system, you’ve got a potent ally on your side when the lights go out – power for life without interruption. 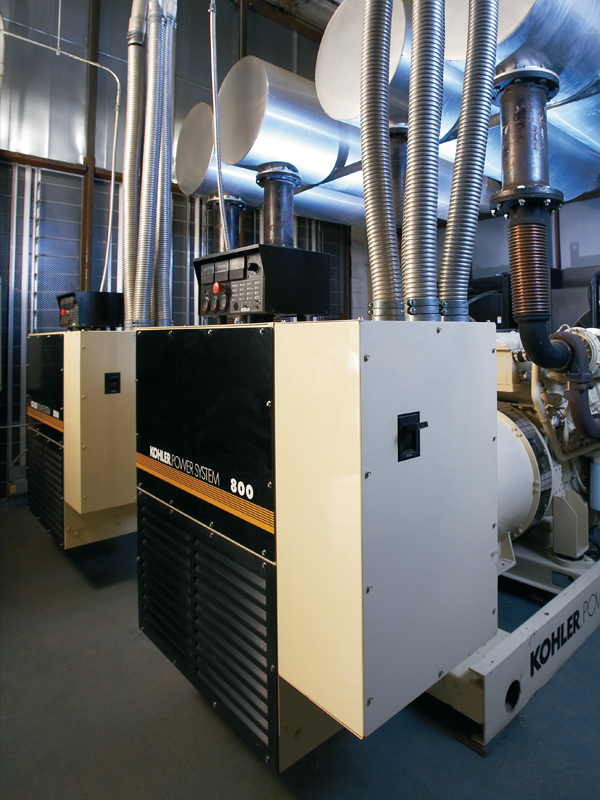 Kohler Power Systems provides comprehensive power solutions for any standby generator or prime power need. Volvo Penta is a world-class supplier of both gas and diesel propulsion engines designed for the unique demands of the marine environment. Volvo Penta‘s revolutionary design philosophy has led to the introduction of the aquamatic duo-prop stern drive and the game-changing Inboard Propulsion System known as IPS. Volvo Penta can satisfy any marine enthusiast’s needs with inboard, aquamatic duo-prop stern drive or IPS propulsion power. Volvo Penta is your one-stop supplier for all of your marine propulsion needs. Supra diesel powered truck units are specially designed for carrying temperature sensitive cargo in a wide range of truck applications from 12 to 28 feet long. In addition, multi-temperature systems offer the flexibility to allow shippers to deliver products at various temperature settings in a single truck. Vehicle-powered units provide refrigeration for small van applications and offer an economical alternative for straight truck bodies up to 20 feet long. Ultrajet by Ultra Dynamics is a leading supplier of marine water jet propulsion and control systems. The Ultrajetrange of marine water jet propulsion and control systems are well suited to the demands and requirements of the marine environment. Ultrajet marine water jet propulsion units can be found in a variety of marine installations ranging from military and commercial to pleasure craft applications. Today’s Ultrajet product range benefits from more than 50 years of experience in design, manufacture, and application of marine water jet propulsion. For nearly 100 years, Allison Transmission has continuously discovered new ways to make work easier and more efficient. Because of their commitment to quality, Allison is the world’s largest manufacturer of fully automatic transmissions and hybrid propulsion systems for commercial-duty vehicles. For over 70 years, Detroit Diesel has designed and built the heavy-duty engines that power commerce and transportation all across North America. Detroit Diesel engines are known for their best-in-class fuel economy and low-cost of maintenance. We love Detroit Diesel engines for their power, efficiency, and longevity. MTU is one of the world’s leading manufacturers of large diesel engines and complete propulsion systems. Together with MTU Onsite Energy, MTU is one of the leading brands of Rolls-Royce Power Systems. Power Products Systems, LLC. provides power solutions for a wide variety of industries and customer needs from the most advanced engines, transmissions, emissions/filtration, transport refrigeration, power generation products on the market to temperature management systems. Having been in business for over 40 years Power Products Systems, LLC. is proud to be New England’s leading distributor for Kohler Generators, Volvo Penta, Ultrajet/MJP Jet Drives, Detroit Diesel, Allison Transmission, CarrierTransicold, and MTU Diesel Engines.